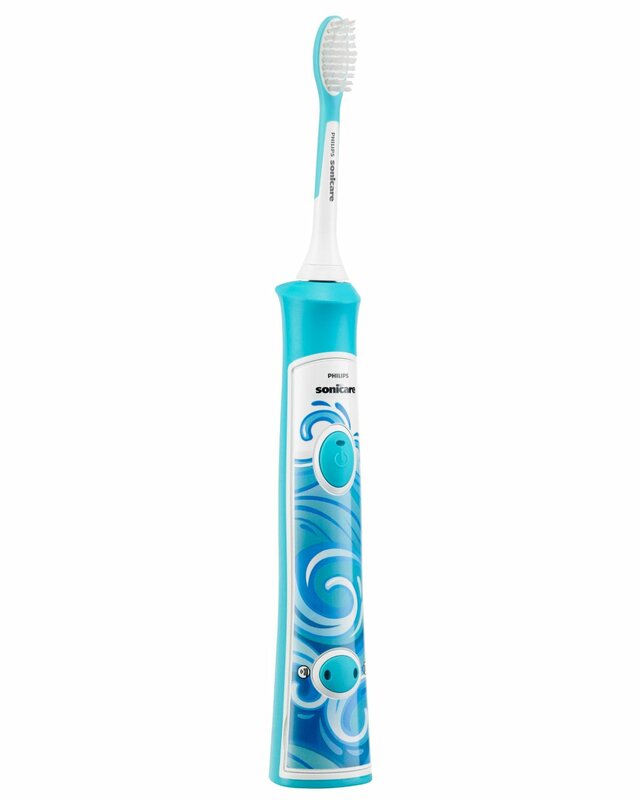 Amazon.com has Philips Sonicare HX6311/07 Rechargeable Electric Toothbrush for Kids on sale for $29.95 when you “clip” $10 coupon on product page. Shipping is free with Prime or if you spend $35 or more. The Philips Sonicare Rechargeable Electric Toothbrush for Kids has been expertly designed for growing children in order to encourage healthy brushing habits and deliver outstanding results—even when they are brushing on their own. Sonicare’s technology is 75 percent more efficient at plaque removal than a manual toothbrush. The KidTimer extends brushing time each day until your child reaches the dentist-recommended two minutes and the KidPacer feature makes fun sounds to encourage a thorough brushing. Two different power settings combined with an ultra-soft brush head result in a comfortable and efficient cleaning. Eight interchangeable stickers permit your child to customize their toothbrush how they want it.